(Small, 1929). The giant blue of the Central Gulf Coast. Concentrated in Louisiana, but also occurs in Texas and Mississippi. Found in open fresh water marshes and in open wooded swamps. 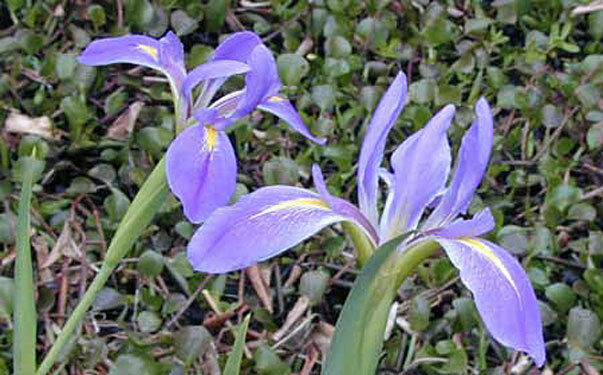 Can grow to six feet under some conditions, but in a garden setting reaches around four feet. Definitely a water lover that produces long rhizomes.